Instead of giving each of these little ones it’s own page, I’ll just lump them all together. 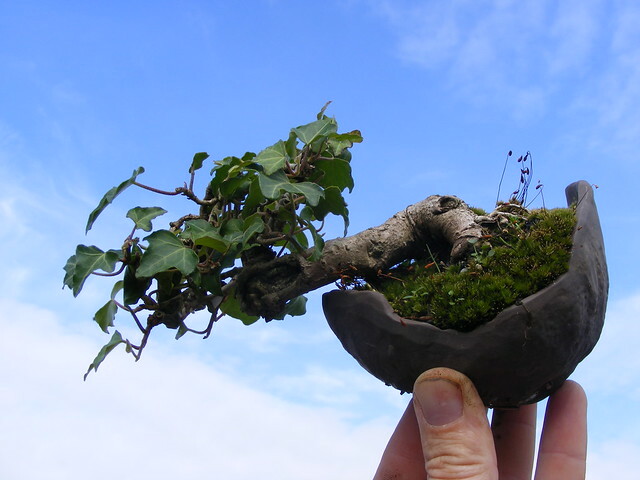 Ivy, was originally an air layer of a bigger tree. I acquired this in 2010 and transferred it to this pot which I feel suits the style. 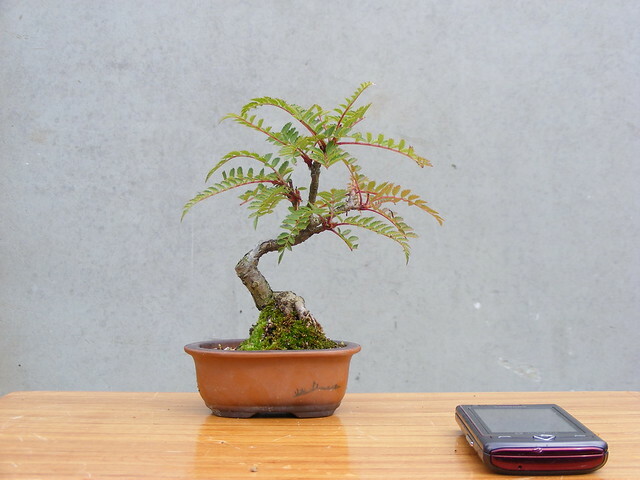 This one is a Sorbus Reducta or Rowan that I’ve had for 15 years. This is a little Cotoneaster that was self seeded in my flower bed. I have had it for about 6 years and my son Matthew has claimed it as he was with me when i first started it. 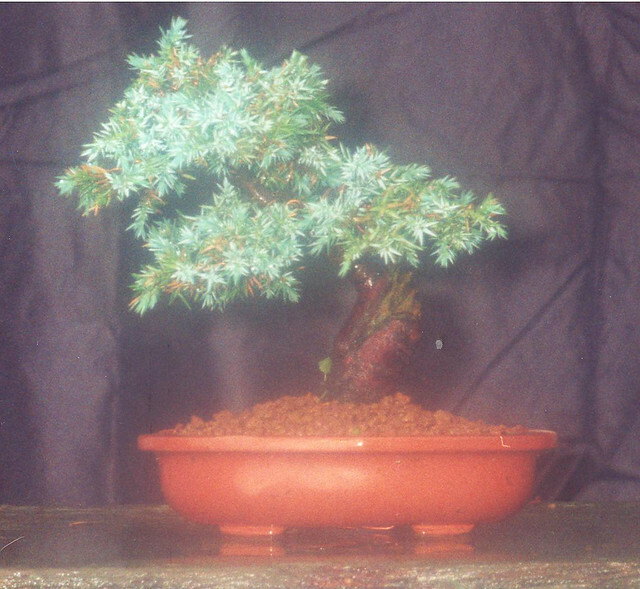 This is a little juniper that I bought from another enthusiast about 11 years ago. 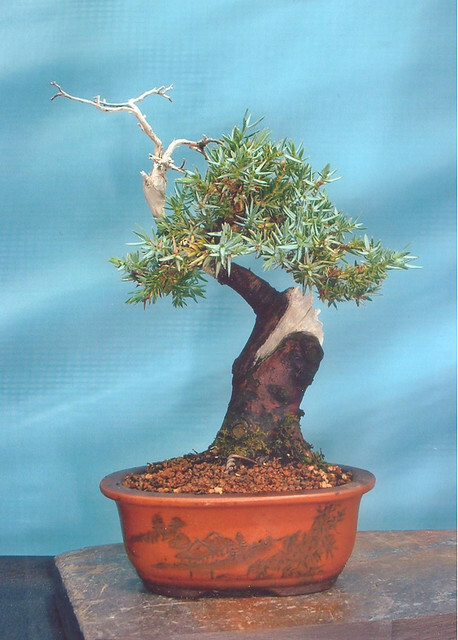 It was a garden centre tree that he had severally reduced. 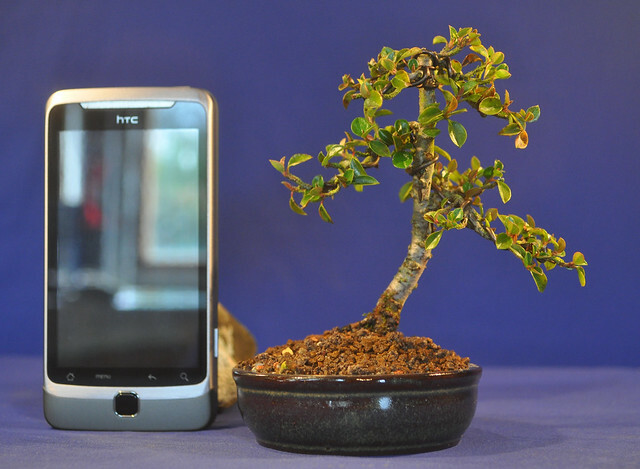 It was a nice little tree when I bought it on the cheap. I then reduced it again by about two thirds. It had grown weak over the last few years and last year I repotted it into a bigger pot and gave it a new planting angle. It’s vigour increased and will be reworked next year when established. This was it back in 2000 when I bought it. This is it a few years later. This is the tree now recovering from a few years in neglect. 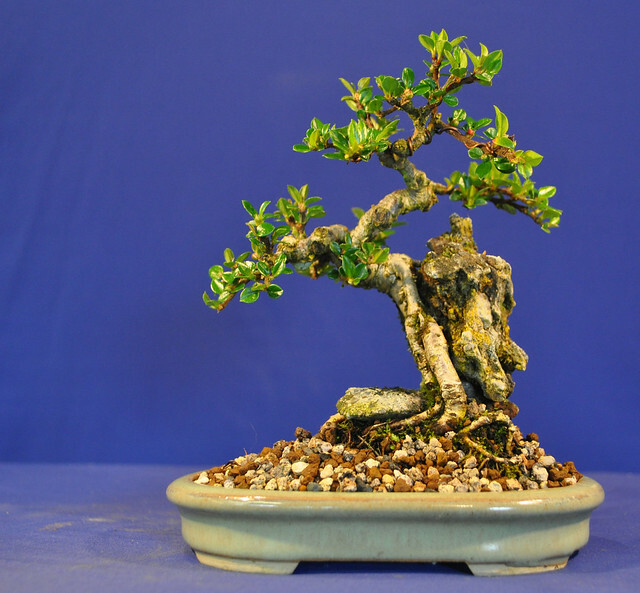 This Root over Rock Cotoneaster was acquired by me in 2010. I just loved it when I spotted it in a collection that was for sale. 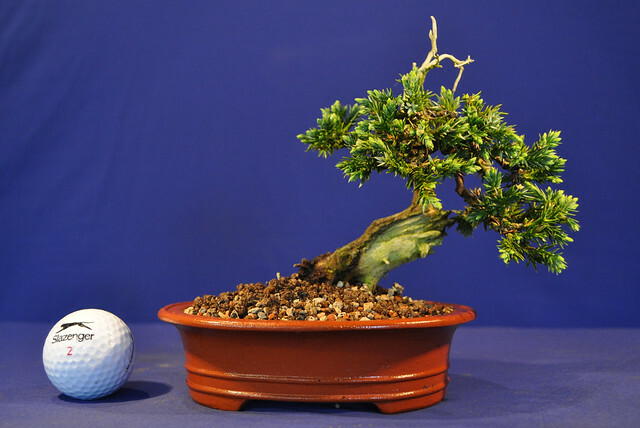 The owner had been creating bonsai since the early 1970’s and this little fella is quite old despite his size. He had been clipped very hard just before I bought him so I have allowed him to fill out and have placed him in a bigger but shallower pot. I think this suits the style of the tree better. Really nice trees Ian, and I just love the photos. Your new lens? i love them. good job!!! !